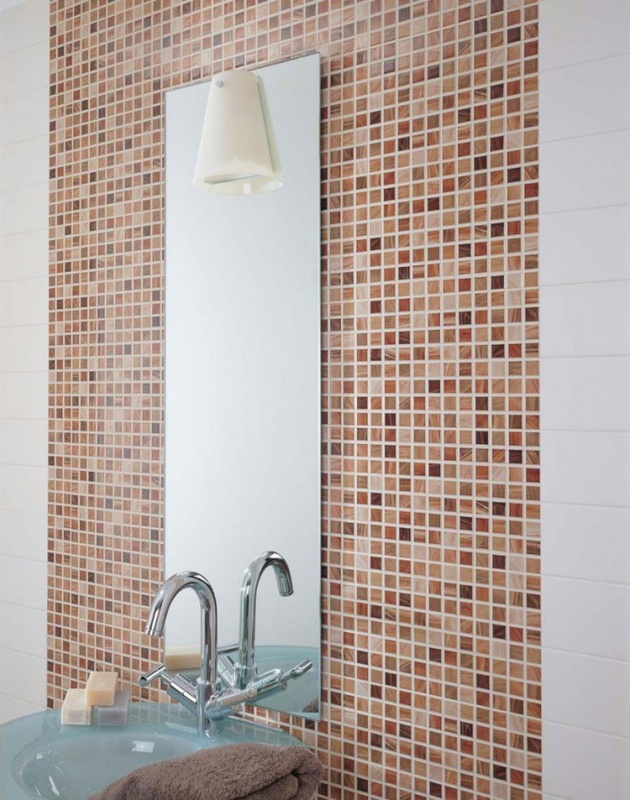 Tile is one of the leaders in the world of materials for decoration. Put it on the floor and on the walls and on the ceiling. In each case, the technology of the installation are generally the same, but there are nuances. Is their something in the first place and should be considered when carrying out repair work. This is especially true of wall tiles. - building tools: trowel, level, etc. Before beginning work, look around carefully in the room - you need to think in advance where and how to put the batteries, sinks, washing machine, refrigerator and other items depending on what kind of room you will be oblitsevat tiles. If you want to move these objects, it must be done before the installation. Tile , choose special, marked for works to the walls. Further prepare the wall for installation. If the base is plastered, then it must necessarily be smooth. For example, it can be a little scratch. This is necessary in order to ensure good coupling material and the base. In the case when a tile is placed on the drywall, it must attach to a solid Foundation. The only way he will be able to withstand the weight of the laid tiles. Besides, you should select the water-resistant drywall. Alternatively, you can glue the tile and the substrate with previously laid tiles. Only this requires that the old tile was securely attached to the base. You will also need a special glue. The painted surface before laying the tiles you need carefully to scratch, as in the case of stucco walls. After surface preparation clean, dry and remove any fat and oil stains. Then programsuite walls and leave them to dry completely. Apply the mortar adhesive to the wall. Do it to it too quickly dried up and lost their properties. Start laying tiles. Start doing this from the second row. Before styling, apply a wall special marking crosses. The ideal size is 1.5-2 mm. Place TIC in equal vertical and horizontal lines - they are the easiest way to mark with a special construction level. So you will ensure the smooth layout and, as a consequence, even laying tile. To lay the tile itself start from the second row from the bottom up. This is necessary in order to be the first row (the one that is at the junction with the floor) it is easy to correct, such as cutting, where necessary. Equally important is the laying angle. If you want to do this to the inner corner, then begin the finishing work on the outside. If you can't decide, then start laying from the centre. After laying all the tiles, let the glue dry. Then treat the joints between the tiles and fill them with putty color suitable to put the tiles. If you want to make a colored drawing of the tiles, then consider the whole scheme of masonry. Otherwise, in case of an error, it would be quite difficult to shift the pattern correctly.